My friend Tonya is a selfless, loving person who gives herself everyday to her patients as an oncology nurse. Little do her patients know, she goes home to fight her own battles. Her daughter, Leah, was born 2/26/2012 & everything seemed normal until she was 10 days old when they noticed her eyes roll back and her left hand twitch. On call MDs made her believe they were just scared new parents but thankfully, her doctor witnessed Leah having a seizure so the decision was made for them to take her to the ER where the local hospital had her ambulanced up to UW Madison. She was diagnosed with Polymicrogyri of the right frontal and parietal lobe & after days on anti-seizure medication they were sent home where she continued to seize. 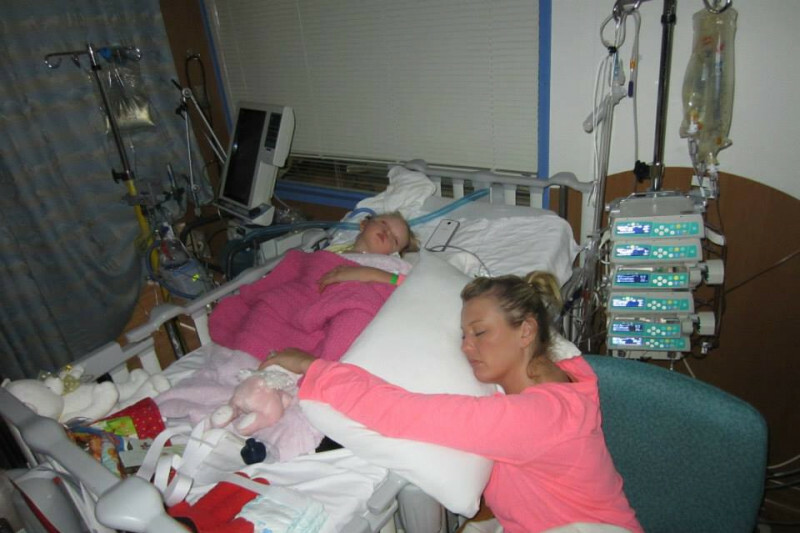 Leah had to be admitted into the ICU more times than they can count so she could be on a versed drip to slow the seizures. 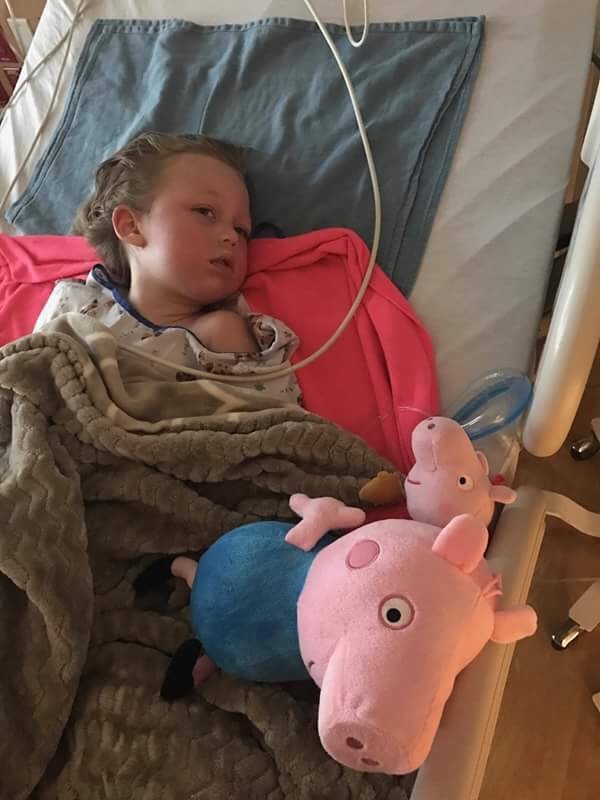 They sought out the best doctors in hopes one would have an answer to Leah’s condition traveling from Rockford, IL to Cleveland, OH to Detroit, MI where she had hemispherectomy surgery in 2014. Leah did well for a year but then experienced balance issues for which she required surgery to have a shunt placed. 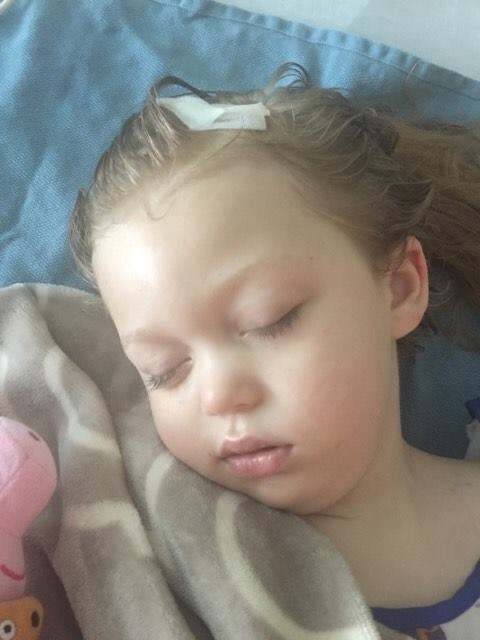 Leah is now seizure and medication-free, but still requires frequent MD and ER visits and scans to monitor her shunt. And as most of you know, Leah had to be rushed up to Lurie Children's Hospital in Chicago yesterday and required another surgery. All of this has placed an emotional and financial burden on the family as they owe over $10,000 before this hospitalization and surgery. Please help me help them lighten the financial burden so they can focus solely on getting Leah better and spending time together as a family! Every little bit helps and is greatly appreaciated! God Bless! Leah is finally home and doing well. They will take her into Chicago in a couple weeks so the doctor can look at the incisions. She has two large incisions on both sides of her head as well as her stomach. They are deeply humbled and overwhelmed by everyone's generosity and willingness to help out, but I'm confident we can do more! Let's keep spreading the word by sharing Leah's story and shower the Morton family with our love! Every little bit helps so please, if there is ever a time to be selfless, let this be it! Thank you to everyone who has already donated, prayed, and/or shared the post! We will keep updates coming! This may not be much but it gets you back up to an even number. Big prayers to your adorable family! I know it's been a little ruff Leah. Get better!